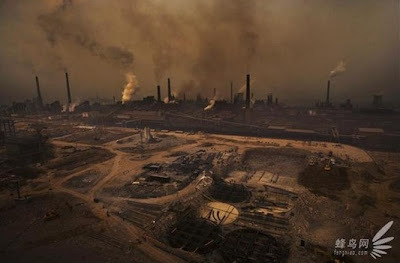 I write this from the middle of the eastern China coastal Plain where particulate air pollution is out of control, water pollution is out of control, solid waste management is out of control, industrial conversion of Ag land is out of control, all of which is reduced to side show by fixation on the trivial warming effects of a trace gas. The legitimate causes of pollution control and conservation have been hijacked by a scientific freak show, demanding that the entire world fiddle while substantial portions of the planet burn. Those forces (political and industrial) that have no interest in addressing reality will happily spar forever in the fantasy shadow game of carbon control. That is the truth – the climate change industry is causing terrible damage by diverting attention from real pollution, the effects of which are blighting millions of lives. The only honest thing is to abandon the obsession with "carbon" and get down to tackling real pollution. All the rest is talk.